An icon of Scandinavian design for our gardens and terraces! 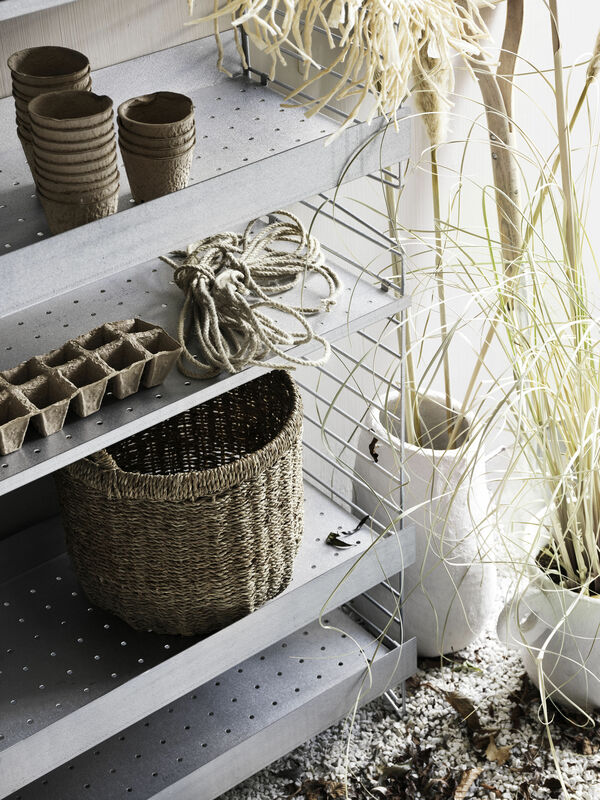 Designed in 1949, the famous modular String shelf is now available in a galvanised steel version suitable for outdoor use. Perfectly weatherproof, it does not rust. 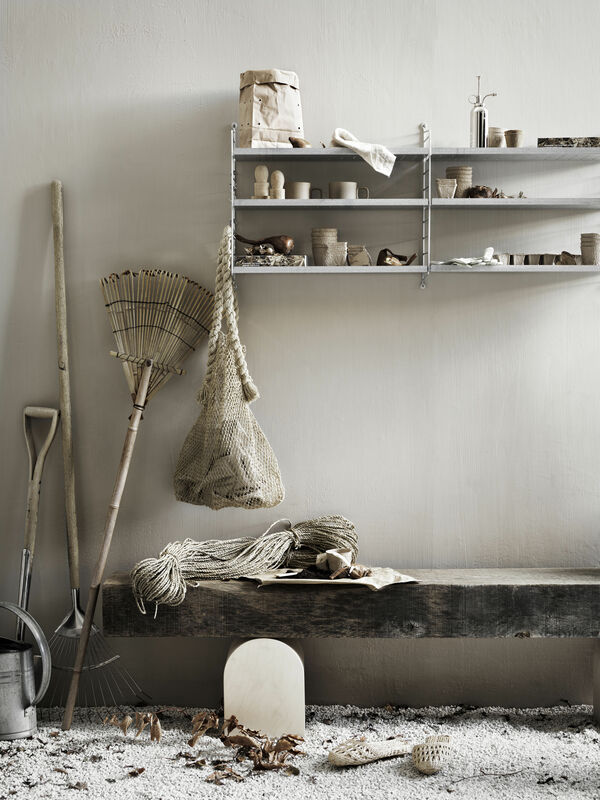 Its raw, industrial look is also perfect for creating a loft decor inside. The shelves are made of aluzinc, a steel coated with zinc-aluminium, which is ultra-resistant to mould and corrosion. The lateral uprights are made of galvanised steel. The perforated shelves allow water to drain away. 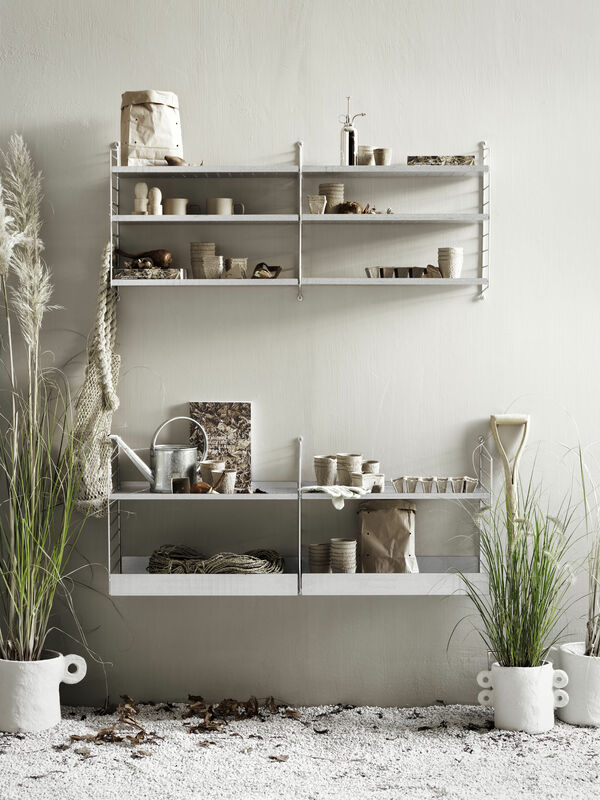 These shelves are perfect for holding flower pots and creating a trendy nature area. Aromatic plants, colourful flowers, a cactus collection: let your imagination run wild to dress this refined structure as you wish. 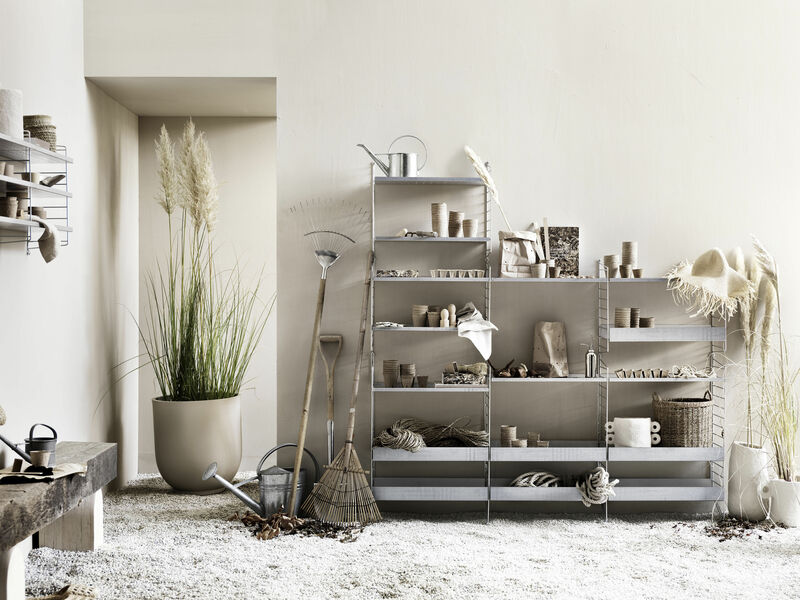 String shelving is also perfect for storing gardening tools, watering cans, baskets and lanterns ... The String shelf system is totally modular. All elements (uprights, shelves) are sold separately and very easily assembled. The shelves fit easily into the side pillars without the use of tools. The shelves are adjustable in height. To make your String composition, just buy at least 2 side uprights. You can choose between floor (ground) and wall uprights. If you want to expand your shelf, you can add a third upright or more. This perforated metal shelf has a high edge (H 7 cm). It is suitable for lateral uprights with a depth of 30 cm.